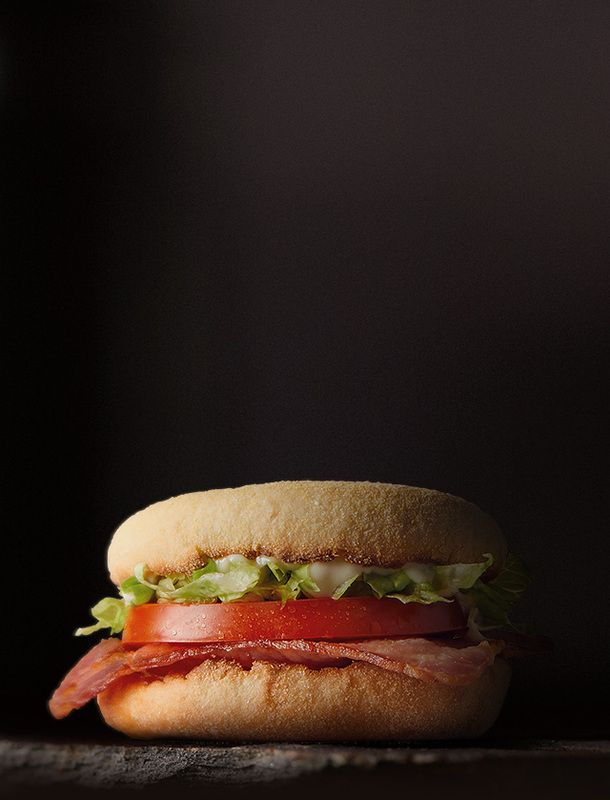 The delicious BLT McMuffin with tasty bacon, lettuce and tomato in our famous McMuffin. MAYONNAISE: Water, Soybean Oil (Antioxidant (330), Egg Yolks, Modified Corn Starch (1401,1442), Corn Syrup Solids, Distilled Vinegar, Salt, Sugar, Mustard Flour, Thickener (415), Acidity Regulator (270), Preservative (202). OIL: Canola Oil, Emulsifier (332 - derived from Soy), Natural Flavour, Natural Colour (160a), Acidity Regulator (330).